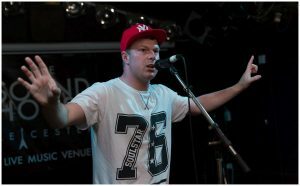 Jonezy lives in Loughborough in the UK and writes and performs his own original songs. His style of music is a fusion of Hip Hop, Rap and Pop. He grew up around music, listening to mainly Eminem and New York rapper 2pac, all the time. He was inspired – back when he was 13 – to start writing rap songs. This lasted a year and, at the age of 14, Jonezy then gave up writing songs due to other events in his life. By the age of 19, Jonezy was starting to write songs in his spare time. He produced his first album My way of Music, in 2010. An increasingly popular artist with all ages, Jonezy combines the energy and beats of hip-hop with the compelling music of pop and urban sounds. If you want a good time, listening to songs that will make you laugh, cry and feel good to be alive, book Jonezy now. Jonathan is a committed Christian; that comes through in some (though not all) of the songs he has written. This makes him a very suitable artist for festivals and shows that are specifically aimed at a Christian market. It is important to bear in mind, however, that Jonathan performs for general audiences and most his songs appeal to listeners or all ages and backgrounds. JONEZY has become popular with an all-ages audience who have warmed to his enthusiastic stage presence, ability to connect well with people in any situation and his positive-vibe songs. Where can we see Jonezy next? 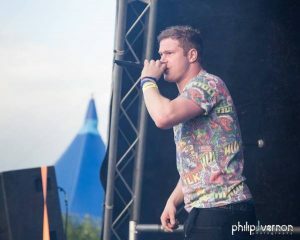 See pictures of Jonezy performing at festivals and gigs. See the feature article on Jonezy published by Music in Leicester magazine.